The most significant earthquake swarm at Miravalles in several years occurred on the S flank during 5-27 October (figure 2). The swarm, consisting of 146 located events, was centered around 10.7°N, 85.15°W. No pattern was found correlating the seismity with known local faults. Figure 2. Major faults in the Guanacaste Range of Costa Rica and October earthquake locations around Miravalles and Tenorio volcanoes. During 5-27 October, 620 earthquakes were recorded, but only 187 could be located. Courtesy of ICE. Approximately 88% of the earthquakes were M <2, 11% were M 2-3, and 1% were M 3-3.3. Some earthquakes were felt by nearby residents. Seismic swarms and earthquakes of M >5.0 are not rare near Miravalles; however, the occurrence of two unrelated swarms nearby at Tenorio (~16 km ESE) during October was unusual. Information Contacts: Gerardo J. Soto and Waldo Taylor, Oficina de Sismología y Vulcanología, Departamento de Geología, Instituto Costarricense de Electricidad (ICE), Apartado 10032-1000, San José, Costa Rica. The Global Volcanism Program has no Weekly Reports available for Miravalles. 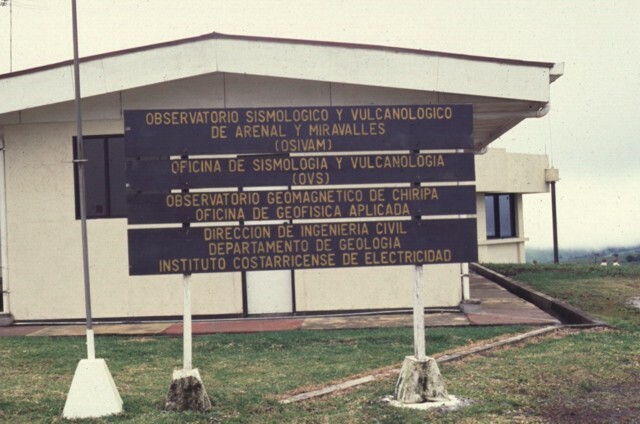 "The Office of Seismology and Volcanology of the Department of Geological Engineering, Costa Rican Institute of Electricity (ICE), has monitored the seismicity of the Miravalles Geothermal Field since 1977. The monthly number of recorded earthquakes at the Miravalles Caldera from April 1991 through July 1994 is shown on figure 1. Maximum magnitudes were 3.5; no high-magnitude local earthquakes occurred within the geothermal field during this study period. Previous seismological campaigns showed a similar level of activity. Figure 1. Monthly number of earthquakes recorded within the Miravalles Caldera, April 1991-July 1994. Courtesy of R. Barquero, ICE. "The 219 tectonic events located during this period were distributed within a radius of 15 km of the geothermal field. There were some clusters of events that from their location and alignment could be correlated to previously determined faults and structures in the area and they were cataloged in 8 groups. Earthquakes recorded during the monitoring campaign were mostly shallow, with depths of 0-15 km and predominantly 0-5 km. The distribution of earthquakes cannot be correlated with a magma chamber or any shallow magmatic body in the area, but it confirms that some seismic activity is taking place under and inside the caldera." Information Contacts: R. Barquero, ICE. Miravalles is an andesitic stratovolcano that is one of five post-caldera cones along a NE-trending line within the broad 15 x 20 km Guayabo (Miravalles) caldera. The caldera was formed during several major explosive eruptions that produced voluminous dacitic-rhyolitic pyroclastic flows between ~1.5 and 0.6 million years ago. Growth of post-caldera volcanoes in the eastern part of the caldera that overtopped much of the eastern and southern caldera rims was interrupted by edifice collapse which produced a major debris avalanche to the SW. Morphologically youthful lava flows cover the W and SW flanks of the post-caldera Miravalles complex, which rises above the town of Guayabo on the flat western caldera floor. The only reported historical activity was a small steam explosion on the SW flank in 1946. High heat flow remains, and it is the site of the largest developed geothermal field in Costa Rica. Alvarado G E, Kussmaul S, Chiesa S, Gillot P-Y, Appel H, Worner G, Rundle C, 1992. Resumen cronoestratigrafico de las rocas igneas de Costa Rica basado en dataciones radiometricas. J South Amer Earth Sci, 6: 151-168. Chiesa S, Civelli G, Gillot P-Y, Mora A, Alvarado G E, 1992. Rocas piroclasticas asociadas con la formacion de la caldera de Guayabo, Cordillera de Guanacaste, Costa Rica. Rev Geol Amer Central, 14: 59-75. Hallinan S, 1993. Nonchaotic collapse at funnel calderas; gravity study of the ring fractures at Guayabo caldera, Costa Rica. Geology, 21: 367-370. Hallinan S, Brown G, 1995. Incremental collapse and stratocone growth within a funnel-shaped caldera, Guayabo, Costa Rica. J. Volcanol. Geotherm. Res., 67: 101-122. Mainieri P A, 2003. Costa Rica geothermal update. Bull Geotherm Resour Council, 32: 157-158. Marini L, Yock Fung A, Sanchez E, 2003. Use of reaction path modeling to identify the process governing the generation of netrual Na-Cl and acidic Na-Cl-SO4 deep geothermal liquids at Miravalles geothermal system, Costa Rica. J. Volcanol. Geotherm. Res., 128: 363-387. Vega Zuniga E, Chavarria Rojas L, Barrantes Viquez M, Molina Zuniga F, Hakanson E C, Mora Protti O, 2005. Geologic model of the Miravalles geothermal field, Costa Rica. Proc World Geotherm Cong 2005, Antalya, Turkey, 24-29 April 2005 CD-ROM, 5 p.
There is no Deformation History data available for Miravalles. There is no Emissions History data available for Miravalles. 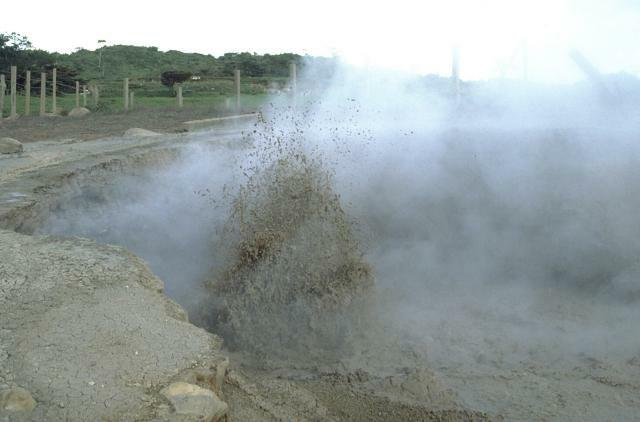 Vigorous mud eruptions occur at Las Hornillos thermal area on the west flank of Costa Rica's Miravalles volcano. 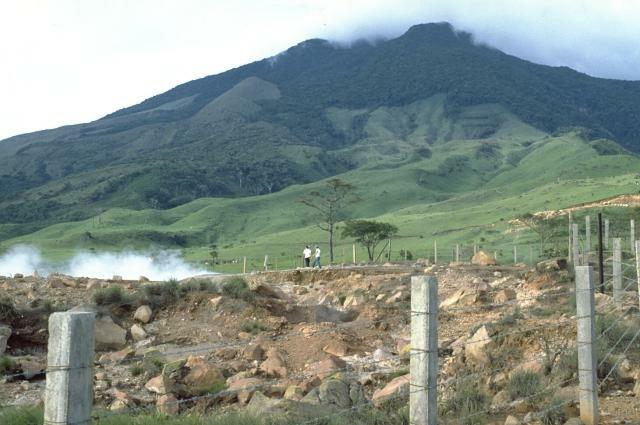 A geothermal project in the 15 x 20 km Guayabo caldera (inside which Miravalles volcano was constructed) provides a major component of the electrical power needs of Costa Rica. 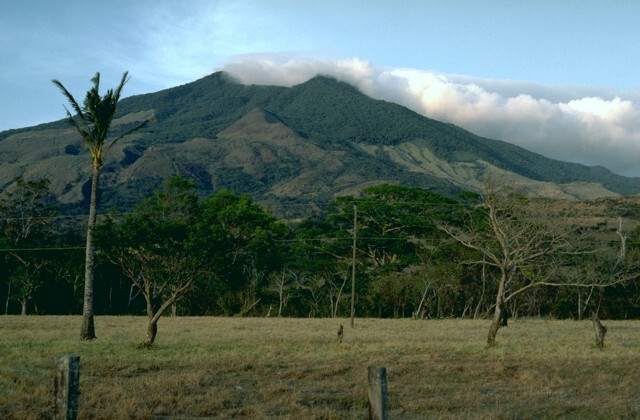 Miravalles (or Neo-Miravalles) stratovolcano rises above the floor of the Guayabo caldera and is the youngest feature of the Miravalles volcanic complex. It, along with Paleo-Miravalles volcano, was constructed within a caldera left by collapse of Cerro Cabro Muco volcano about 200,000 years ago. Cabro Muco volcano was itself constructed within the 15 x 20 km wide Guayabo caldera, which was formed during a major explosive eruption sometime between 1.5 million and 600,000 years ago. Photo by Guillermo Alvarado, 1985 (Instituto Coastarricense de Electricidad). Miravalles volcano rises above a thermal area on its SW flank. The 2028-m-high andesitic stratovolcano is one of five post-caldera cones constructed along a NE-trending line within the Pleistocene 15 x 20 km Miravalles caldera. Morphologically youthful lava flows cover the western and SW flanks of the volcano. The only reported historical eruptive activity was a small steam explosion in 1946, although high heat flow remains, and a producing geothermal field is located within the caldera. Electrical power from the Miravalles geothermal plant is distributed from the control room of Project CORTEZ. The Miravalles I and II wells produce 60 and 55 MW of power, respectively, through reinjection. The vapor-phase Miravalles III well is expected to produce 27.5 MW. The depths of the geothermal wells vary from 959 to 3022 m.
The OSIVAM observatory that monitors seismic and volcanic activity at Arenal and Miravalles volcanoes is operated by the Department of Geology of the Instituto Costarricense de Electricidad (ICE). The observatory is located in Quebrada Grande, 14 km from the town of Tilarán, west of Lake Arenal. 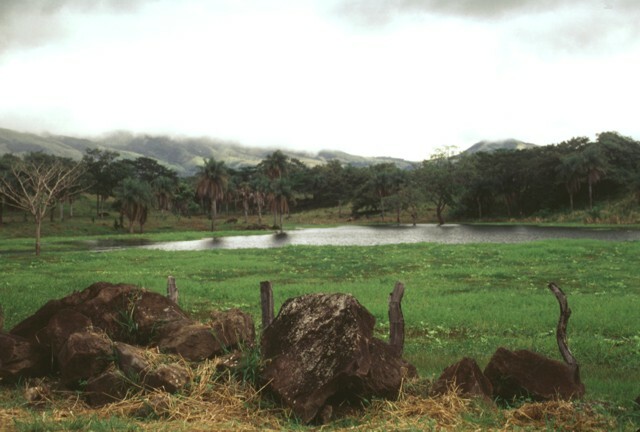 A large area of irregular topography with many depressions containing small ponds is located south of Miravalles volcano along the road to the town of La Fortuna (not to be confused with La Fortuna near Arenal volcano). Large boulders, such as those in the foreground, are abundant. This topography is typical of that resulting from large volcanic debris avalanches and represents material produced by a major edifice collapse of the Miravalles volcanic complex. 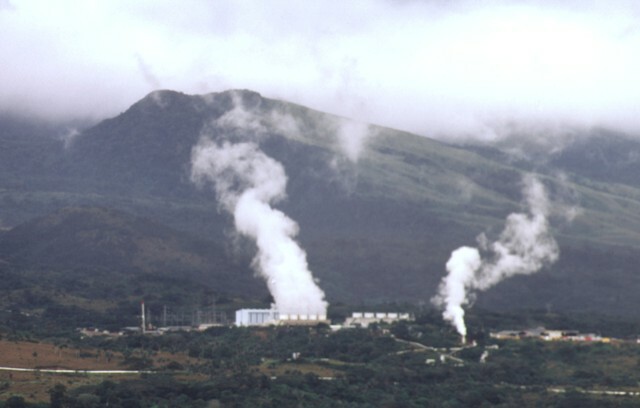 Steam plumes pour in 1998 from power plants of the Miravalles geothermal project, which began production in 1994 with an energy potential of 55 MW. 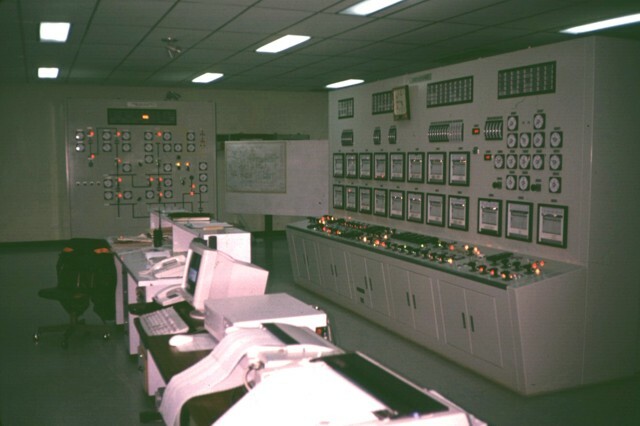 By 1996 the plant was estimated to provide about 10% of the electrical power of Costa Rica. 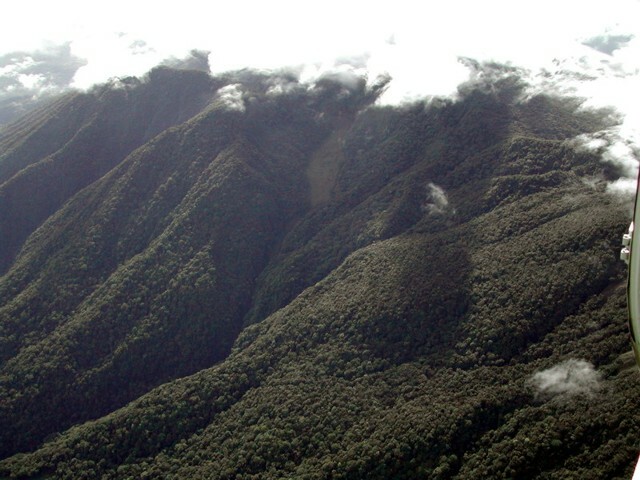 The remote northern side of the youngest cone of the Miravalles volcanic complex is covered with dense rain forest. Prior to the arrival of the Spanish, Miravalles was known by indigenous people as Cuipilapa, a Nahuatl term meaning "river of many colors," a reference to minerals dissolved in rivers draining the volcano. In clear weather the summit provides views extending to the Gulf of Nicoya and the savannas of Guanacaste. The following 34 samples associated with this volcano can be found in the Smithsonian's NMNH Department of Mineral Sciences collections, and may be availble for research (contact the Rock and Ore Collections Manager). Catalog number links will open a window with more information. Large Eruptions of Miravalles Information about large Quaternary eruptions (VEI >= 4) is cataloged in the Large Magnitude Explosive Volcanic Eruptions (LaMEVE) database of the Volcano Global Risk Identification and Analysis Project (VOGRIPA).